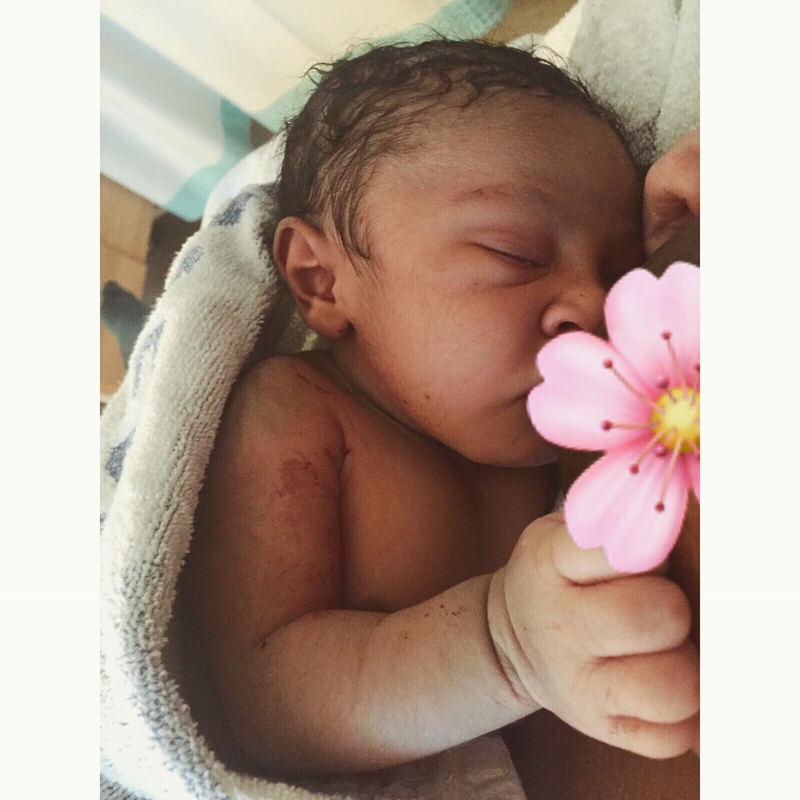 As I’m sure my lovely readers will know, I had a very traumatic induced labour with Amaiya after she clearly did not want out. After several failed sweeps, which were extremely uncomfortable for me.. I was still very over-pregnant. On the Sunday 4th March I was booked in to have a tablet inserted to my cervix which was supposed to help it to ripen and of course dilate. It’s purpose was not fulfilled but it did cause my uterus to go into overdrive and I felt so unprepared for everything that followed over the next 24 hours. 1. Expect the unexpected, by this I mean do not be surprised at what and will not happen in this process. I never knew I had zero amniotic fluid until 3 very painful attempts to break my waters and because I didn’t expect this, I went into emotional meltdown. I felt like my body had completely failed me and at this point, Amaiya went into distress which I also did not expect. Try to be open minded to what can happen and be discovered along the way, trust that you’re in the best hands and know that it’s all going to be worth it in the end. 2. Eat before hand – if you’re going to poop, not eating won’t make a difference, this one definitely brings back some less favourable memory flashbacks for me but nevertheless very important. By the time I was given the hormone induction via IV, I had not eaten since midday and at this point it was roughly 8pm, I went through the whole of my contractions following the drip on an empty stomach and the hormone still caused my stomach to go into unpleasant turmoil. Not eating actually worsened my situation following labour because I was extremely dizzy, had very low blood pressure and couldn’t be as present in the moment as I had liked to be. Don’t be afraid to eat! Fuel yourself because you will need it. 3. Inducing your labour does not mean your body failed-be kind to yourself, this one is very important and close to my heart. I really hated my body for just not going into labour naturally, experiencing my waters breaking and my body feeling a natural urge to push. Everything felt the complete opposite and I was heartbroken at that. I wanted my baby here safely but I also wanted to enjoy the experience the best I could, I wish someone had sat me down and reminded me that my body is no less than amazing, especially for carrying this little human for 42 weeks! Kept her safe, fed and healthy for all of that time, how could we possibly have failed? 4. It will feel like you’re out of control in your own body- listen to it anyway, once the hormone drip kicked in for me, I felt completely out of my body. I felt an overwhelmingly painful urge to push but it wasn’t natural, it all felt forced and contractions were jumping far and then few between far quicker then they do during a non-induced labour. This can happen during the transition between doses as your body is sent into hormone hell and suddenly desperately trying to get the baby out. Just breathe. You are still in full control even when it doesn’t feel like it, this is your body and your baby, focus on the moment and feel everything. There’s little we do have control over but you can take your power back mentally and this will really strengthen you in the process. 5. Keep in mind that your body and mind have been through a big ordeal- this may take longer to heal from, the human body can only bare so much and labour in all its glory most definitely puts that to its test. Remember that during induction, our bodies are forced into doing something this huge. It’s filled with hormones, prodded and poked. Your mind is undoubtedly sent into shock at all the different elements and things to worry about too, this might just mean that you don’t feel okay shortly after birth or even a few months down the line. This will be physically and emotionally. Our bodies need that extra time to just get it’s hormones back to normal and our minds to come to it’s own understanding of what we experienced. Some women may even benefit from therapy to talk about their birthing experience and find a way to overcome the emotional aspects that arise. This is okay mama, do how you see best to help make you feel okay again. Be gentle on your body, don’t rush into diets or exercise. Everything needs some time to regulate. Induction can be different for everyone but if you’re struggling afterwards, let your feelings be known. 6. Not all stories are horror stories, yes mama I said it, there are also occasions where induction goes amazingly well and both mama and baby are healthy, happy and pleased with the experience. I have friends who only ever needed one sweep, or whose waters broke after one attempt. That is the beauty of it all really, we all have individual experiences, what some of us find harder, others may not. This is motherhood in a whole! So if you’re reading this, preparing for an induced birth, smile! You could have the most wonderful and easy experience too. 7. Ask, ask, ask, sometimes inducing can be done with such need that it’s done with speed. In the moment we can feel like we have no idea what’s going on, this is where you need to remember that you’re allowed to ask questions about what is happening to you and why. This might just help you to feel more in control and aware of what is going on in the moment and so you should mama. 8. It’s the first of many mama sacrifices-be proud of yourself, the reality is that we have to get them out eventually before it becomes a risk of their health and when this is our only resort, it’s no fault of our own. This is the start of many sacrifices we will make to protect our babies, the pain, fear, worry and stress all goes to show how far we will go to make sure that we get them here safely and this sets the way into motherhood perfectly being that it won’t be the first or last time we stress, worry or protect them. You do deserve praise, yes you should feel like the amazing mama that you are and yes you should feel proud of yourself. Indulge yourself in all of the positive energy that is rightfully yours and let nothing or no one say otherwise. 9. It will be even more painful but even more worth it, it is true that the final stage of hormone intervention does cause more intense contractions, I won’t lie to you. But it also causes even more joy when you safely get your baby out into the world and all of that pain proves worth such a huge and wonderful blessing. If you need pain relief then take it! Nobody can measure what you feel based on text book assumptions, our bodies can all bare differences in pain and you have every right to want to feel less pain so just go for it! Remember that through it all, in the end, this little human will have you to thank for being their brave mama who withstood it all for their precious life! Remember that nobody can predict to you how your induction labour will be, they cannot force you to believe it will be anything because it will be entirely individual to you. My tips are just some of the things that I wish I was told beforehand and I can only hope that they help another mama to feel ready, strong and liberated for her labour.